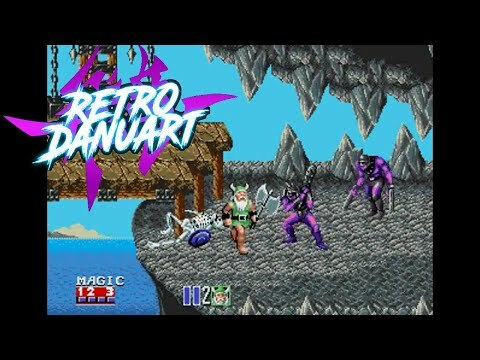 OverviewThree heroes must once again band together to defeat an evil force in this hack-n-slashin' sequel to the arcade classic. 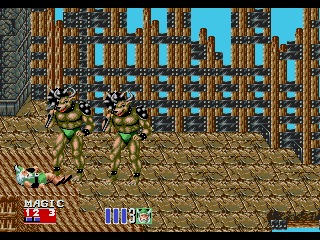 Co-operative, beat-em up, side scrolling. Can choose up to three main characters. Each characters has their own magic powers. - Can select stages after character selection. - Stage 8 is unfinished and there are no enemies. 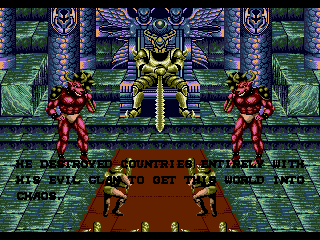 Golden Axe II is a side-scrolling fighting game (or side-scrolling beat'em up) released for the Sega Mega Drive. It was released on December 26, 1991. 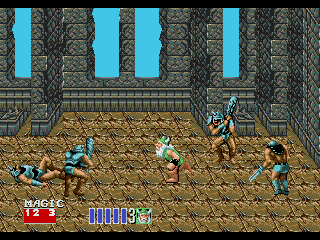 It is the home console sequel to the popular game Golden Axe, marking the second game in the series, though the arcade did see a sequel of its own called Golden Axe: The Revenge of Death Adder a few years later. 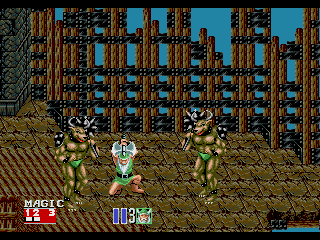 Golden Axe II was only released on the Mega Drive, while the original was released on many other platforms. The game has most recently appeared in Sonic's Ultimate Genesis Collection for Xbox 360 and PlayStation 3. 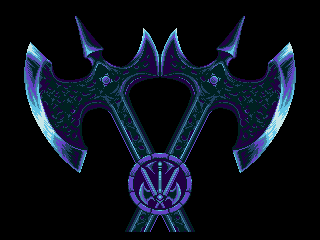 The three playable characters from the first Golden Axe, Ax Battler, Tyris Flare, and Gilius Thunderhead, return in Golden Axe II to fight the new evil forces led by Dark Guild. 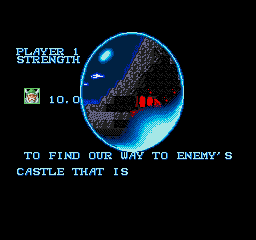 The game features a total of seven levels: six scrolling levels and a final end of game boss battle against Dark Guild. Now you can add videos, screenshots, or other images (cover scans, disc scans, etc.) 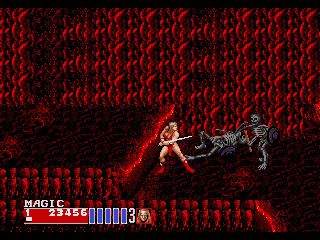 for Golden Axe II (World) (Beta) to Emuparadise. Do it now! If you haven't noticed yet, we have a retro game of the day feature (top-right of the screen) wherein we feature a new retro title every single day! Now, you can vote for your favorite games and allow them to have their moment of glory. 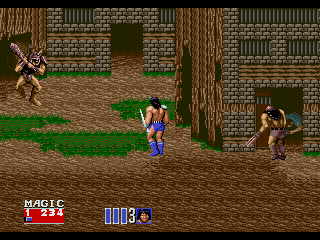 Click on the button below to nominate Golden Axe II (World) (Beta) for Retro Game of the Day.